Definition: The Brand Equity refers to the additional value that a consumer attaches with the brand that is unique from all the other brands available in the market. 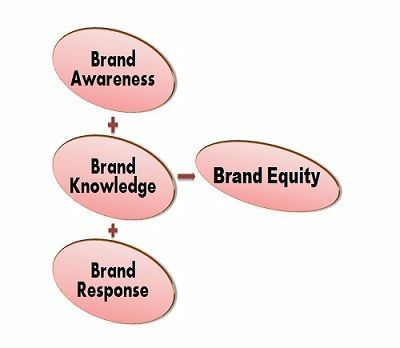 In other words, Brand Equity means the awareness, perception, loyalty of a customer towards the brand. E.g., The additional value a customer is willing to pay for Uncle Chips against any local chips brand available with the shopkeeper. Brand Equity is the goodwill that a brand has gained over time. Brand Equity can be seen in the way the customer thinks, feels, perceives the product along with its price and market position and also the way brand commands profit and market share for the organization as a whole. The Different Responses of a customer towards the product or service helps in determining the brand equity. The way customer thinks about the brand and considers it to be different from the other brands will generate a positive response for that brand and will contribute to its goodwill. E.g., Customer, have a positive response towards Mac laptops because of its anti- virus software. The responses can be generated only if customers have sufficient knowledge about the brand; thus, Brand Knowledge is essential to determine the brand equity. The Brand knowledge includes the thoughts, feelings, information, experiences, etc. that establish an association with the brand. E.g., Brand Association reflects the knowledge about the product such as woodland is recognized for its rough and tough styling. The different customer’s response that adds to the brand value depends solely on the Marketing of a Brand. The strong brand results in substantial revenues for the organization and better understanding about the product among the customers. Thus, the marketers basically study the Customer-Based Approach wherein they study the response of a customer towards the brand that can be reflected in their frequency of purchase. It focuses on customer’s perception i.e. what they have read, felt, thought, seen about the brand and how it has helped them to satisfy their urge of need.